100 count (18 individuals targets per page). Not rolled or folded during delivery. Printed in the United States on US paper. An economical fundamentals shooting target. 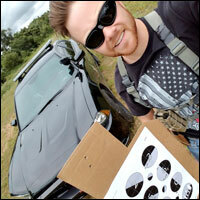 13×19″ on 70# stock. Each 100 target pad is glue-bound on the top edge for easy management. Your targets will be delivered unfolded and roll-free. 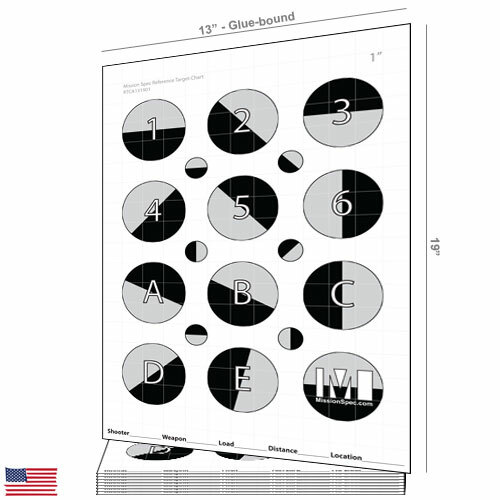 A faint 1″ grid covers the entire target area for easy reference. The RTCA131901 qualifies for media mail shipments. Thus it must be shipped alone and may take longer than other shipments for delivery. 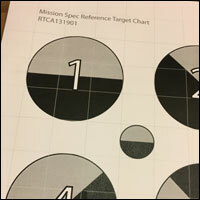 The Mission Spec Reference Target Chart A was primarily designed as a fundamentals target. That is to say it is intended to be used to hone your fundamentals of shooting. 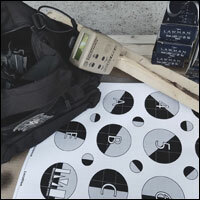 Small individidual targets (circles) naturally encourage the shooter to slow his/her shooting and focus on accuracy above all else. It is the duty of all who carry a firearm (civilian or law enforcement) to ensure the highest level of accuracy as every missed shot represents a supersonic liability. 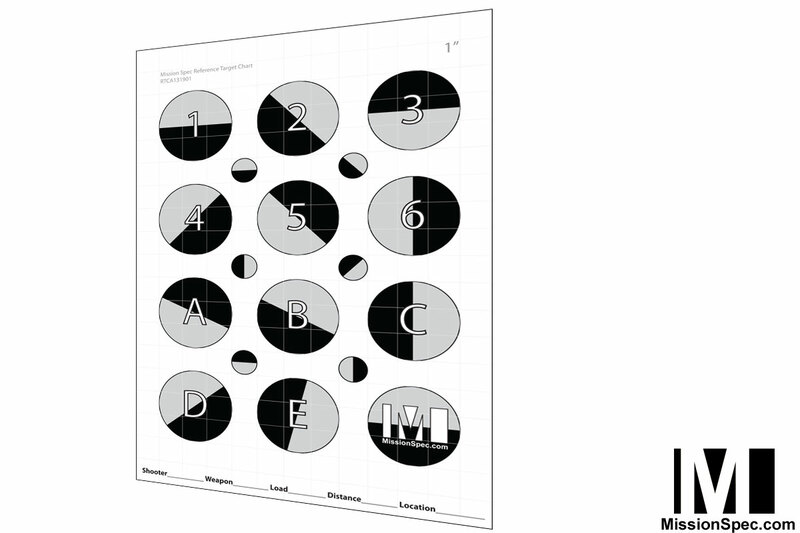 Why are the individual circle targets bisected with two shades? The first thing that is noticed about the RTCA target is the bisection of all circle targets. Half in black and the other half in grey. 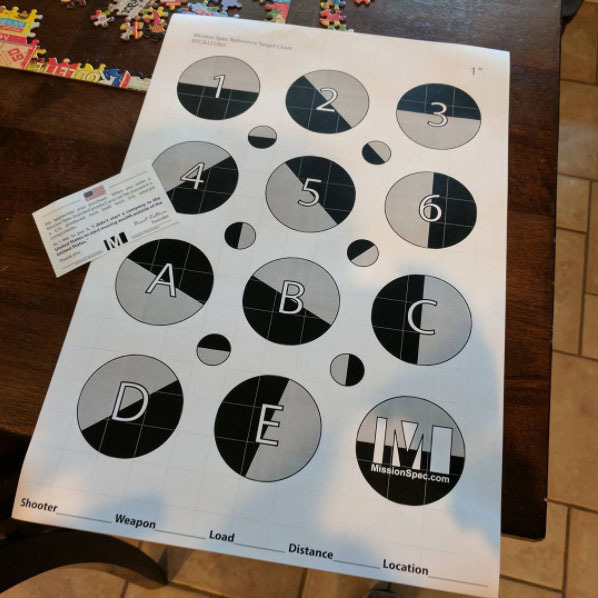 The purpose of this is to supply the shooter with a little bit of asymetry in an otherwise symetrical target. If the shooter is only wanting to use the 3″ circles then the bisection can be ignored. Further difficulty can be achieved by challenging yourself to only hit the grey or black portion of a target circle. 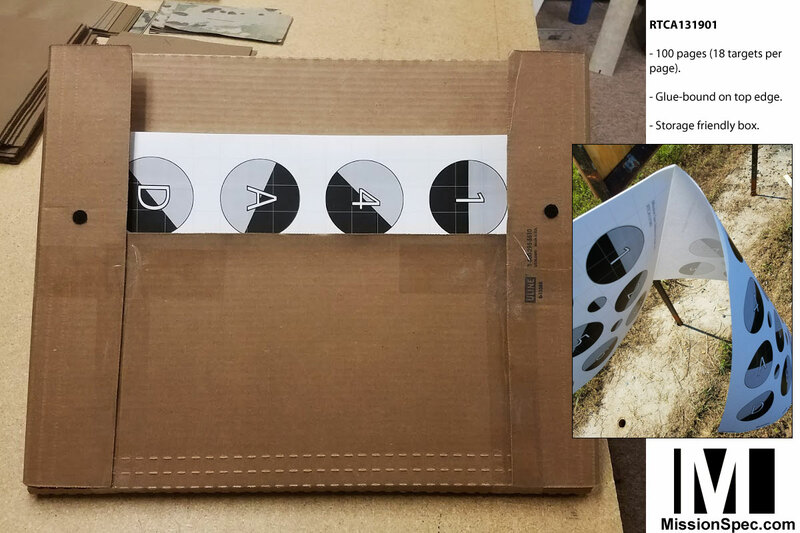 Another possibility would be to view the 3″ circle target as an opening where only a certain half represents the target beyond. How can I use the RTCA to increase by pistol accuracy? 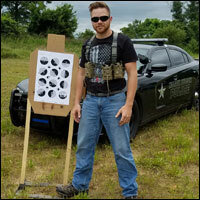 First and foremost your accuracy will be most improved by Dry Fire Practice [video and article explaining Dry Fire Practice]. 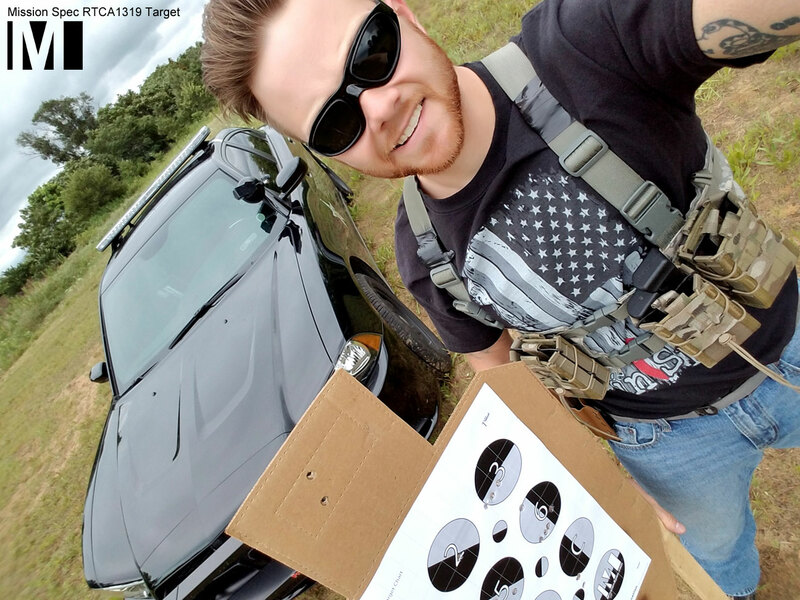 When you are ready to move to the live fire range the RTCA, with it’s relatively small (3″) individual target circles, is perfect for improving your accuracy. Start with your target close (perhaps 5 feet). Fire a number of rounds at a speed you are comfortable with. 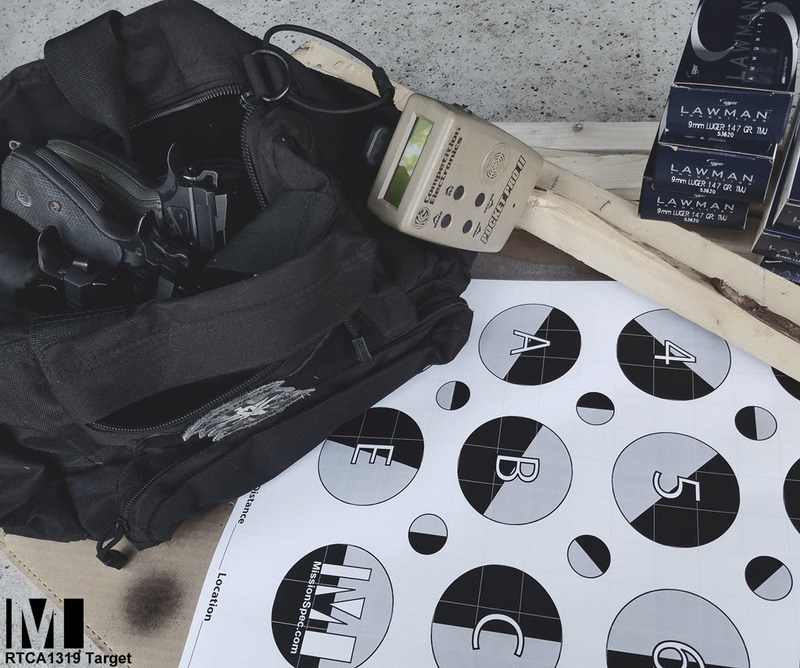 If all of your rounds are within the 3″ circle then you are ready to either speed up your shooting or increase your distance. It is recommended that you only change one variable at a time. 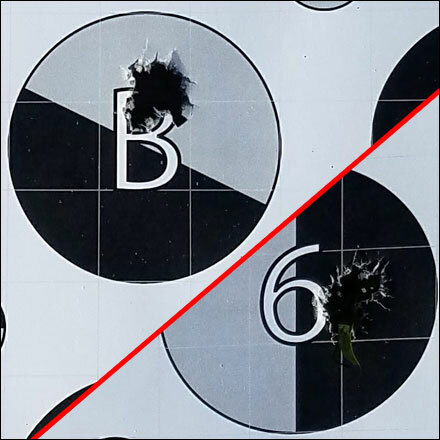 If some of your rounds fell outside of the 3″ circle you need to slow down or move closer. 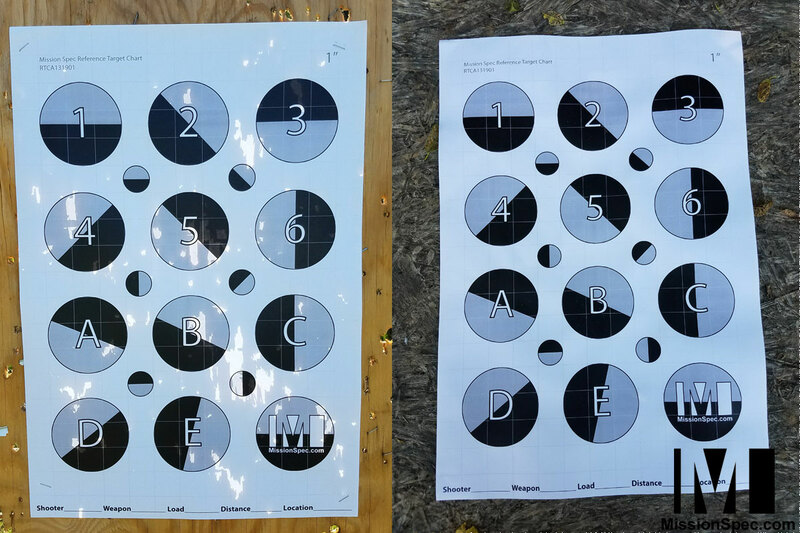 As you move backward or speed up your shooting groups will eventually expand outside of the 3″ circle. At this point you have reached your “failure point”. This is where you need to spend your time. 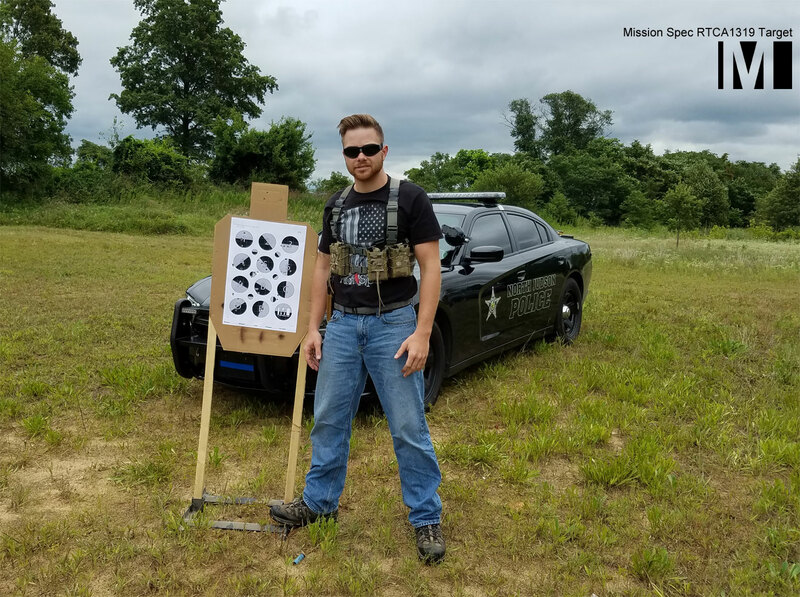 With a combination of Dry Fire Practice and Live Fire Practice you can shrink this group to within the 3″ circle and then either move further back or speed up your shooting again. What can the RTCA do for instructors? 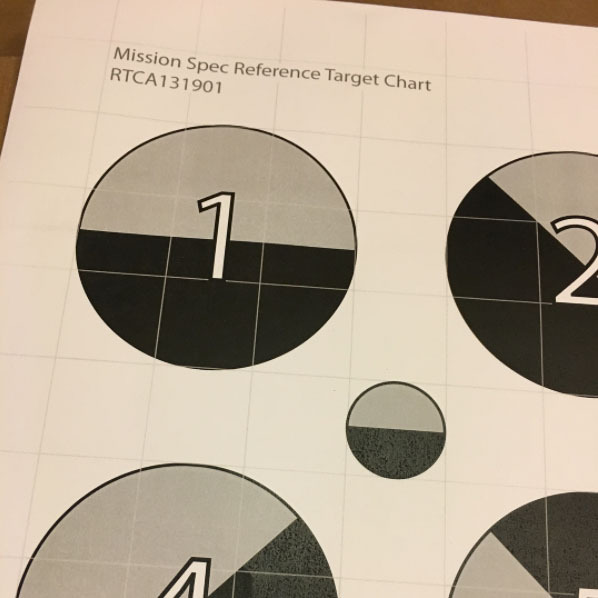 Instructors will find use for the RTCA in the firearms classroom by being able to call, not only individual targets, but also individual portions of the target (grey or black areas). 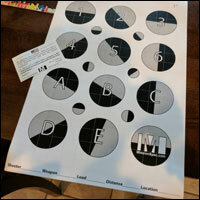 With half of the 3″ target circles being numbered and half being lettered the instructor can also introduce an amount of mental processing for students by declaring all numbered targets as grey area targets and all lettered targets as black area targets. Picture from Infinity Solutions getting ready to hit the range.